Question: Hi Dr. Jen, I want to work out, but I never seem to have any energy. Is it because I have a slow metabolism and if so how can I boost it? Answer: This is not the kind of question a would-be couch potato cares to ask, so you must be fed up with your fatigue. Good for you, being fed up is first step! Plus, making the connection between metabolism and energy means you’ve put some thought into this and truly want to step up your game. I’m sure others can relate, and they too want to know how to fight off fatigue and have the energy to get in shape. So let’s dive right into this complex topic and see if we can’t break it down and make is easy. The connection between metabolism and energy may seem obvious to anyone who is in really good shape because they have experienced the overall increase in energy that comes from exercise. 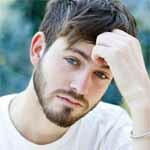 Others, who haven’t started an exercise routine or kept with one consistently, probably haven’t experienced this phenomenon first hand, so it’s difficult to relate. They may not even know they can achieve a higher level of energy. What’s more, even seasoned trainers might not be able to tell you exactly how your metabolism increases your overall energy level, because it’s not an easy thing to explain unless you have some knowledge of biochemistry. Plus scientists are still performing studies to completely understand the link between exercise, metabolism, and increased energy. Why? … Because we all know you burn energy when you exercise; but what is it about exercise that gives you more energy later? And what’s going on with your metabolism when this happens? That’s why asking this question and making the association between metabolism and increased energy is actually very intuitive, yet the answer is anything but. Note: We are going to get a little scientific here, and I understand that some of you may want to skip right to the instructional part. If that’s the case, go ahead and do that now. The thing that seems to contradict this supposed increase in energy is that the body’s metabolism is a self-regulating system that works to achieve a homeostatic state. That means your body makes the perfect amount of active energy it needs to meet its requirements. It gets this active energy from the breakdown of creatine phosphate, glucose, fat, and if need be protein. When its requirements are met any left-over glucose is stored as fat (potential energy). So it’s similar to an equation that is always balanced or at equilibrium. So the question remains … where is all this extra energy coming from? Most of the cells in your body contain mitochondria. 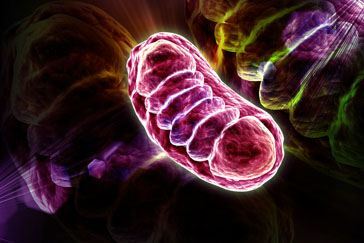 Mitochondria are the powerhouses where active energy -also called ATP (adenosine triphosphate)- is made. ATP is the essentially the currency your body uses in all metabolic transactions. And you may think that each cell only has one mitochondria, but that isn’t the case. Muscle cells have hundreds and even thousands of mitochondria and they actually replicate. This process is known as mitochondrial biogenesis. Therefore the less you use your muscles the less mitochondria you have, and consequently the less energy you have and the slower your metabolism will be. So there really is a connection between slow metabolism, exercise, and overall energy! This means if you exercise and become stronger you will boost your metabolism and feel like exercising more often. 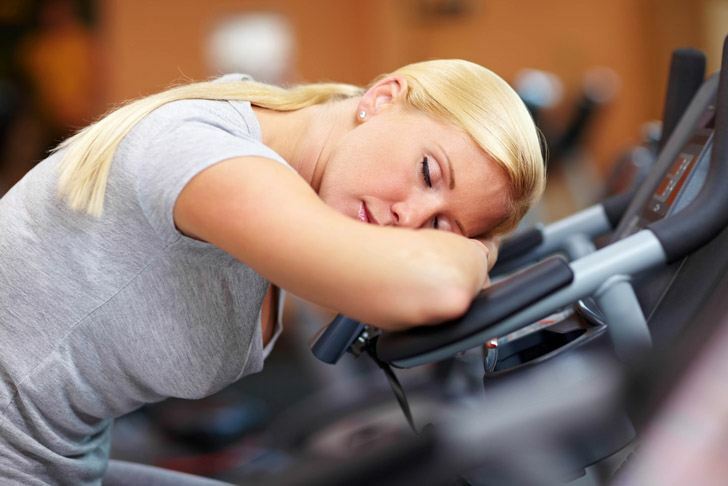 So exercise actually combats your chronic fatigue problem. That and a few other things we will talk about in just a second. At this point you may be thinking … but how do I get started on a routine right now … when I’m so tired? I can’t even think long term yet. Good question and I’m getting to that now. First off there’s what I like to call an energy threshold that you need to surpass. This threshold is like the tiny push required for lift off. Basically if you can just exert a tiny bit of energy you can get your metabolism to produce ATP. 1. Increase your breathing: Sit up straight and breathe in deeply. This will start aerobic respiration. 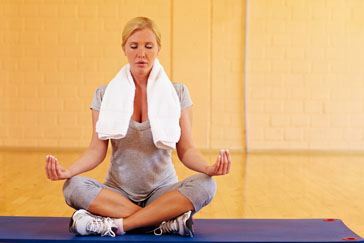 Don’t hyperventilate; just breathe in deeply five times and then get up and move around. 2. Get up and Stretch: Stretching activates the muscles and starts the mitochondria working. TIP: Just do light stretching and go slow until your body warms up. Any sudden or jerking movements could cause injury without a warm up. Make sure you breathe as well. 4. Go for a Walk: If you still can’t seem to do any vigorous exercise, just go for a walk. Keep going for walks daily until you feel ready to do more. Performing these 5 steps alone will jump start your battery and get you going. Chances are you’ll suddenly find the energy you need to turn on your favorite work-out and finish the whole routine. In addition to overcoming this energy threshold, you want to take good care of your body and eat right. You need to fuel your body with the right nutrients… the ones your metabolism needs to work properly. Otherwise, if you don’t, you are going to feel run down. I can’t stress enough how important it is to make sure you take in the nutrients your body needs. In addition to carbohydrates, good fats, and proteins, you need vitamins, essential minerals, and trace minerals. Without going through every vitamin and mineral to tell you what they do, let me just make it super easy and recommend a way to cover your bases. You and your doctor can decide if you need more or less of a particular vitamin or mineral. This list is just to cover your most basic energy needs. 2. Take a Regular Multi-vitamin: Multi-vitamins will have your essential minerals and trace minerals in there. 4. Eat Spinach:Spinach contains alpha-lipoic acid which is a coenzyme involved in metabolic homeostasis. It also contains Vitamin A, potassium, magnesium, folate, iron, and calcium. 5. Take Omega-3: Eating foods like walnuts, wild salmon, or taking supplements with Omega-3 are thought to improve brain functioning and improve overall health. 5 If your brain is struggling, then you are going to feel tired and moody. 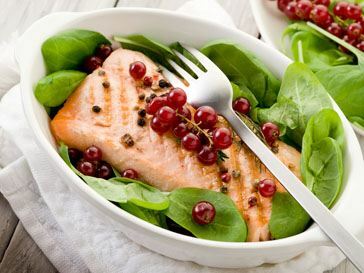 Salmon also contains Co-Enzyme Q 10 which is an antioxidant and a cofactor involved in the synthesis of ATP. The list I’ve just covered is designed to give you a simple plan. There are of course other foods you can mix and match to get these same nutrients, but if you want a quick, easy to remember start, that’s what this is. Other vitamins such as Vitamin D, K, and Calcium are important as well. Although I didn’t stress those as much, you want to make sure you get your daily allowance. Luckily, your multi-vitamin should contain those. However, as I mentioned before, your doctor can tell you if you need more or less of a particular vitamin based on your health profile. In addition to adding these nutrients into your diet, you need to subtract junk food because it is low in nutritional value and may contain harmful additives and preservatives. Putting junk into your body … especially in high quantities is going to make your fatigue way worse. TIP: Also don’t forget to Drink Water! Your metabolism is counting on it. Try and improve your sleep habits. Quality of sleep can be very important in addition to the amount of sleep you get. Reducing your stress can help you fall asleep faster and help you enter into more restful sleep. Cut down on noise at night if you live in a loud area. Ear plugs may be an option if you find them comfortable. Listen to calming sounds or meditate before bed instead of watching an action film. Even doing this for a few minutes will help calm you down before you fall asleep. Tell yourself that your problems can wait until tomorrow but right now sleep is more important. Listen to your body and work with it. Calm down when you feel anxious, sleep when you are tired, and cry it out if you feel sad. TIP: Exercising before you do your housework or running your errands can improve stress levels, boost energy for the day, and keep you from running out of energy before you get your work-out in. Putting all this together, using the 5 steps to jump start your energy, keeping with an exercise routine, and making sure you are getting the nutrients and rest your body needs … all of this will help speed up your metabolism and give you more energy. So you are not doomed. You can take steps to improve your energy level no matter what your genes say or what your baseline energy level is. Note: If your fatigue persists even after you’ve tried these measures, tell your doctor so he can further assess the situation. I’ll end this with a call to action … which would be … Go shopping, get some healthy food or vitamins -or both, and start today! Go for a walk, do some stretching, call your doctor, even go see him for a physical. Heck, walk to his office. Let this be your first step to making a sustainable plan that’s right for you. And thank you so much for asking this question, you even got me motivated to check my vitamin cabinet to make sure everything I need is there. 1. Arwen W Gao et al. Mitochondrial response to nutrient availability and its role in metabolic disease EMBO Mol Med. 2014 May; 6(5): 580–589. 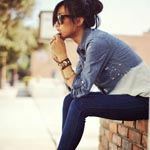 how do I stop sugar craving + how to eat healthy?